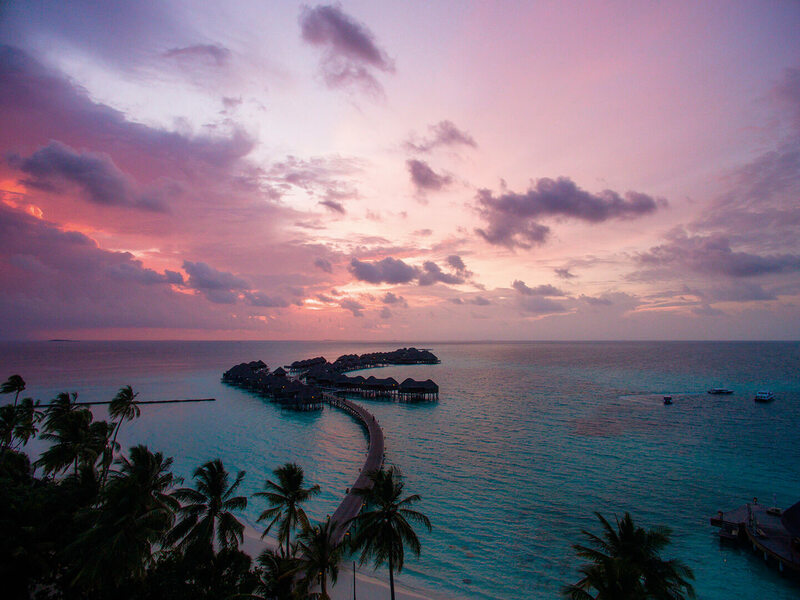 The Maldives is a destination on many travellers’ bucket lists. 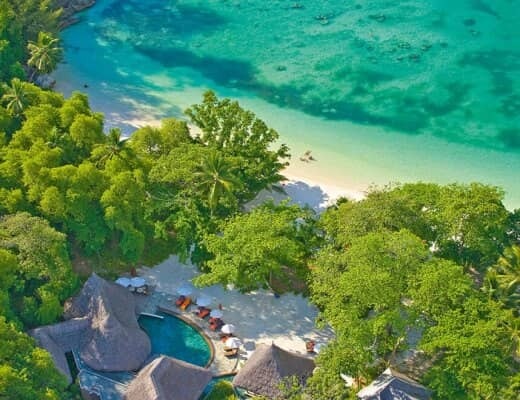 We’ve all seen pictures of dreamy turquoise water, silky white sand and gently swaying palms… but what else do these stunning islands have to offer? We’ve compiled our top ten things to do in the Maldives to help you make the most of your stay in this island paradise. 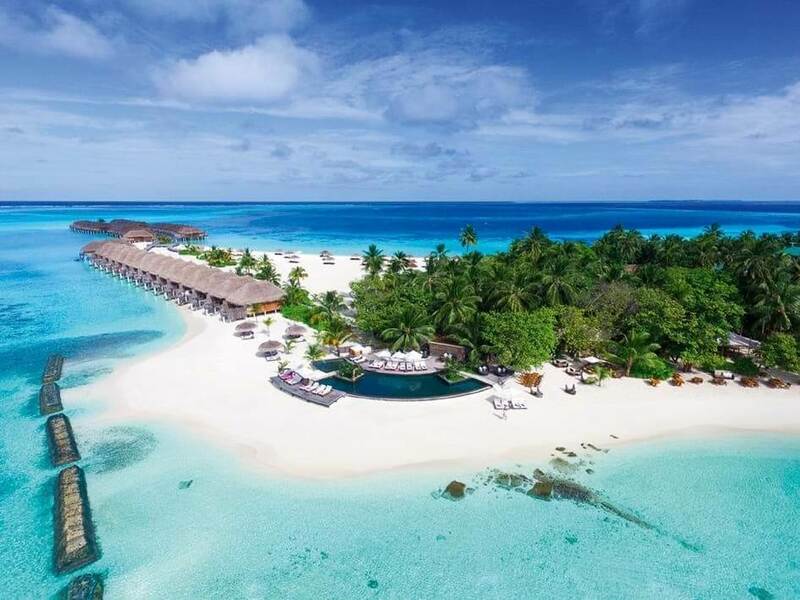 And as if there weren’t enough reasons to visit, book a stay at Constance Moofushi or Constance Halaveli before the end of August and you’ll enjoy 50% off! The expansive skies over the Maldives are best enjoyed at night. With no light from nearby towns, the view of the stars is stunning. The best place to stargaze? Head to the beach for a fantastic view, or enjoy the privacy of your water villa’s decking to view the celestial activity. Maybe you’ll spot a shooting star! If you’re looking for an extra special experience, join a stargazing tour on a traditional dhoni boat and enjoy the view from the middle of the ocean. Each island in the Maldives has its own Boduberu band! This traditional music is translated as ‘big drums’ and is usually performed by around twenty people. Crowd participation is encouraged! The drum beat starts slowly and gradually builds to a crescendo, with one or two dancers maintaining the wild beat with their frantic movements. Where can you see Boduberu? 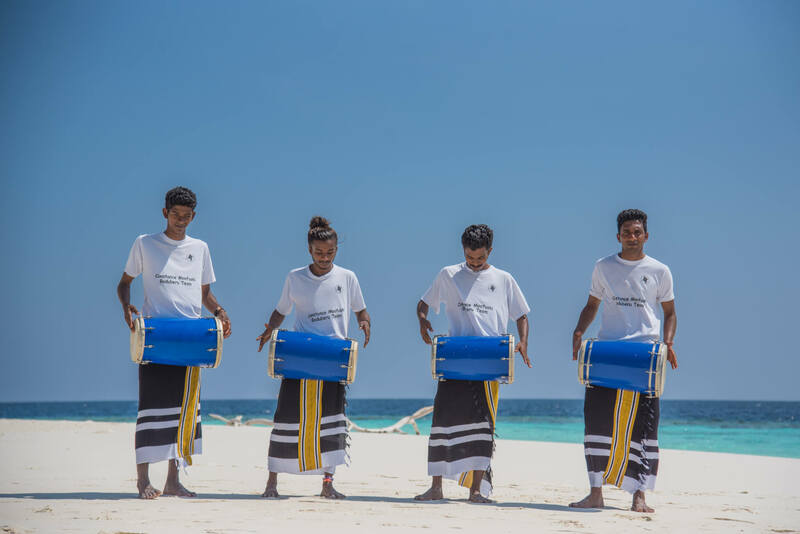 We hold Boduberu performances regularly at both of our Maldives hotels, so you’ll have a chance to experience this amazing tradition during your stay. All guests can get involved! At Constance Halaveli, head to the Kaika Sushi Bar at 9pm on a Tuesday to get involved. 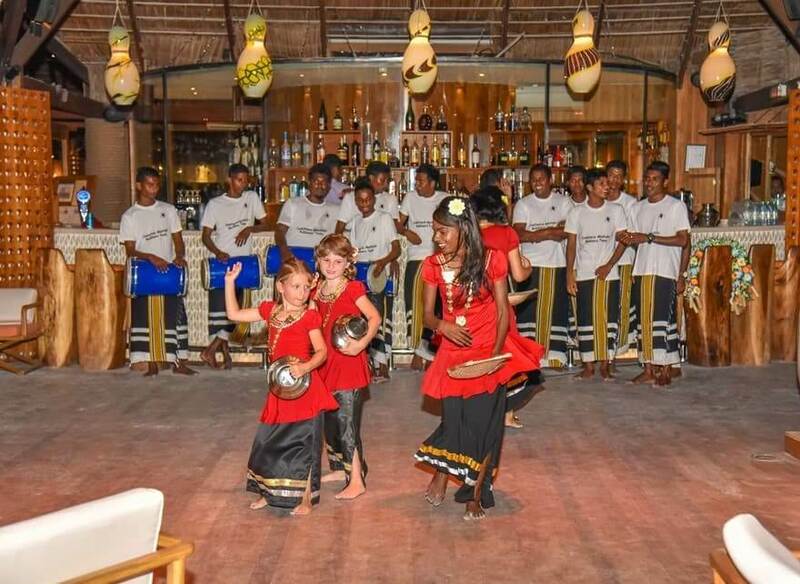 Kids can learn Boduberu too – as part of our ‘Feel like a team member’ program they’re invited to learn traditional singing and dancing with our team and can even perform to the other hotel guests. 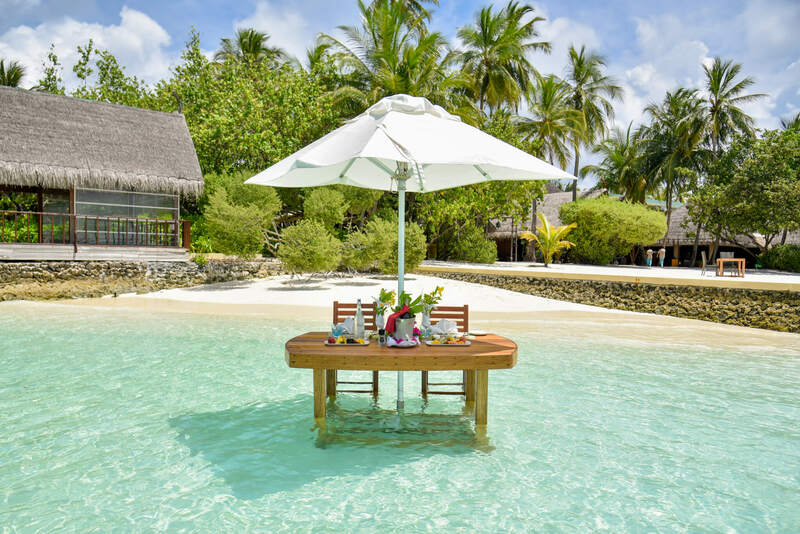 Breakfast is served at Constance Halaveli Maldives! The dhoni is a traditional Maldivian fishing sail boat originally made from coconut palm timber. Nowadays, many boats are motorised and are used for everything from diving to dining, as well as fishing. 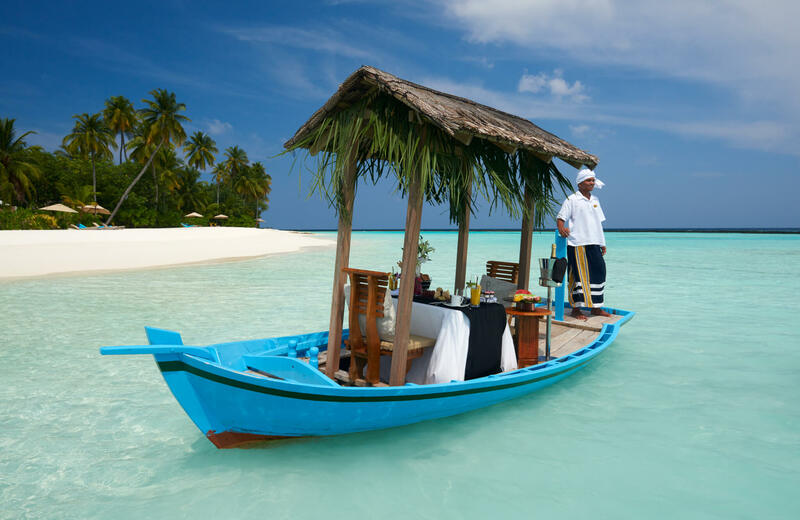 During your stay at Constance Halaveli Maldives, you’ll have the chance to enjoy a delicious breakfast on board a traditional dhoni. As well as experiencing a slice of Maldivian culture, you’ll take in stunning views of the sea and islands. Definitely a photo opportunity! Do you love spending the evening watching a gripping film? 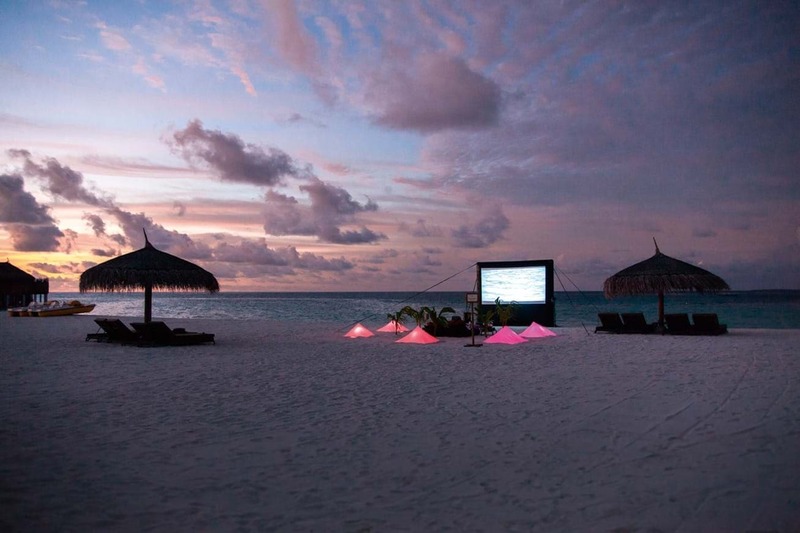 At Constance Moofushi Maldives, guests can enjoy our cinema on the beach – we call it ‘Cinefushi’! Who will you spend an evening on the beach with? It’s a lovely way to spend a warm Maldivian evening. Watch the sun set, indulge in a cocktail and relax into comfy cushions for an ambient cinema experience. What film will be showing tonight? The coral reefs surrounding the Maldives are essential for both the islands’ natural beauty and the marine ecosystem’s survival. Why not contribute to conservation efforts during your stay? 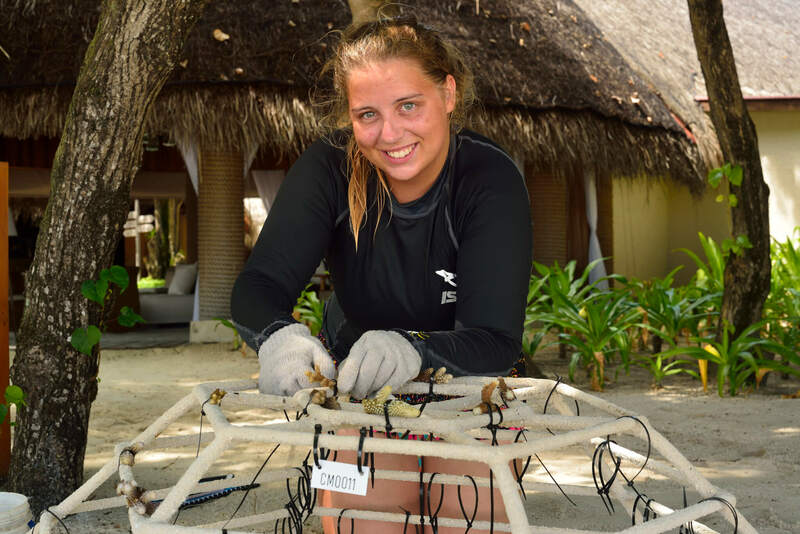 At Constance Moofushi you might get the chance to help our marine biologists create coral frames, designed to encourage coral growth. 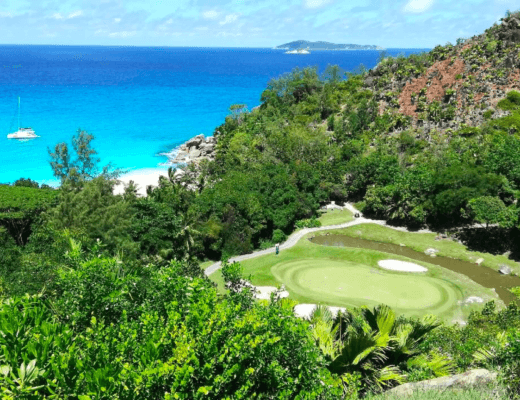 Snorkel or dive in the waters surrounding the resorts and you’ll see the results of all the hard work that’s going into protecting the marine ecosystems. 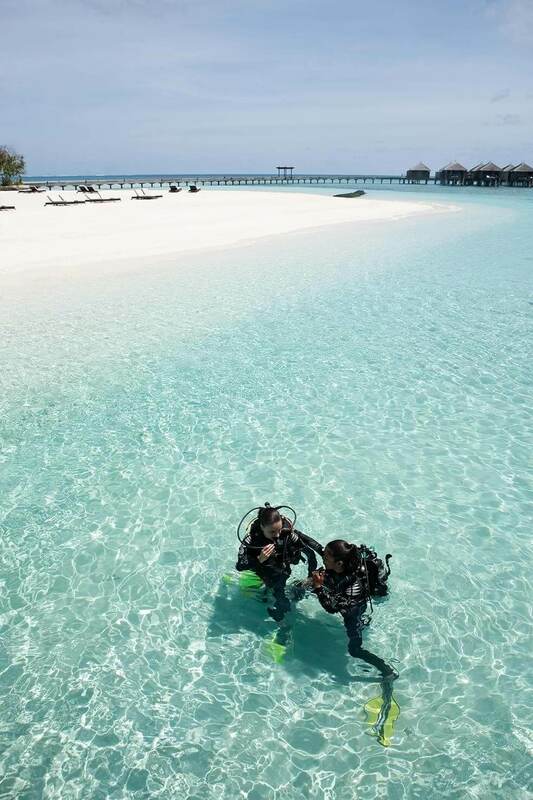 The crystal-clear waters of the famous Maldivian lagoon are delightfully warm! 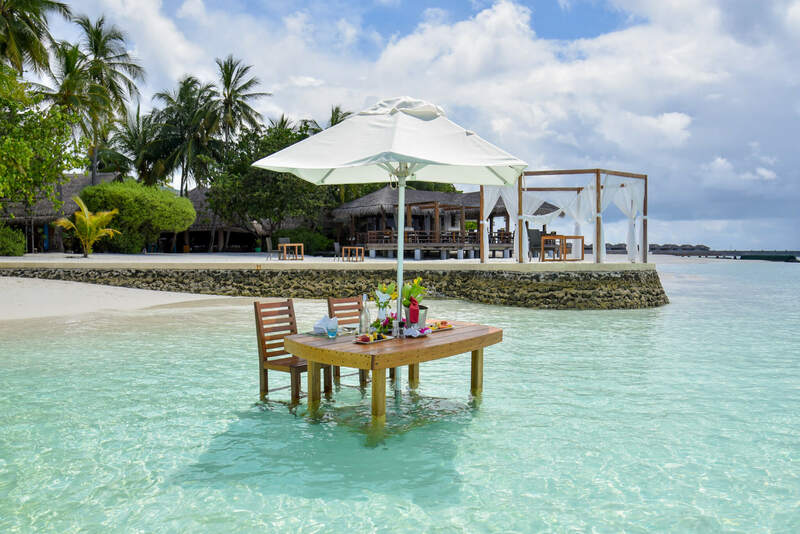 Did you know that you can enjoy a freshly prepared meal and dip your toes in the blue at the same time? 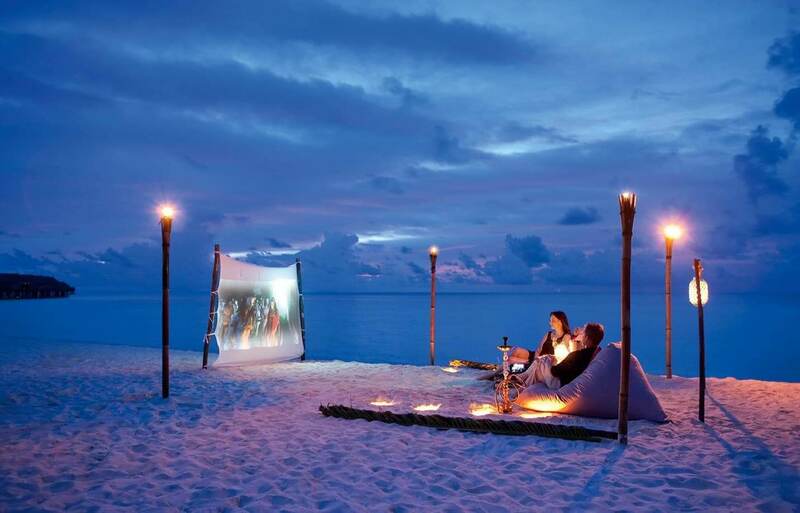 At Constance Moofushi Maldives, guests can spend a romantic afternoon in this secluded spot. The fresh menu pairs beautifully with the gentle ocean breeze. Who will you share an afternoon with here? Whether you’re a beginner or an experienced diver, the Maldives has spectacular diving sites that can be enjoyed by everyone. Take a diving lesson if you’re a newbie! Whale sharks, manta rays, sharks… You’ll see it all! Stay in a water villa and you’ll be able to snorkel straight from your doorstep, or hire diving equipment from the diving centres at Constance Halaveli or Constance Moofushi to explore the deeper ocean. 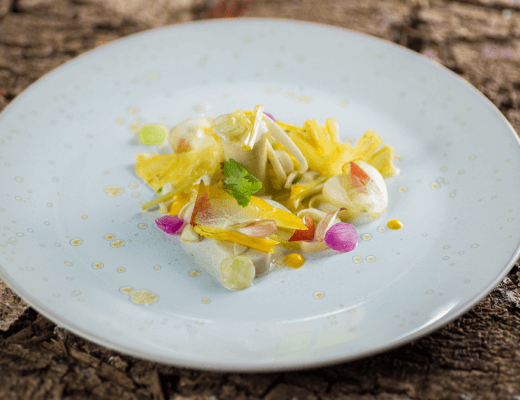 Maldivian cuisine is an exciting fusion of culinary traditions. Delicious fresh seafood plays a huge part – you’ll find it in every restaurant. If you’re a real foodie, why not try your hand at Maldivian cooking? 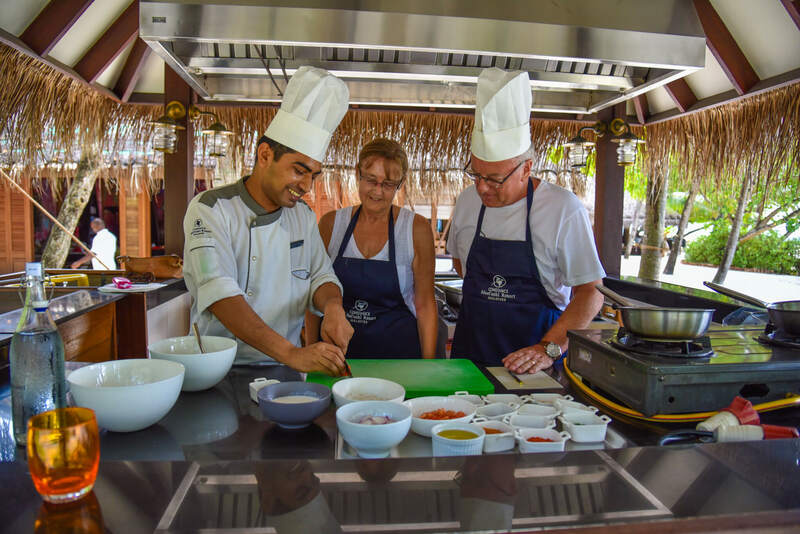 Book a cooking class at Constance Moofushi and let our chefs teach you some fantastic recipes to take home with you. 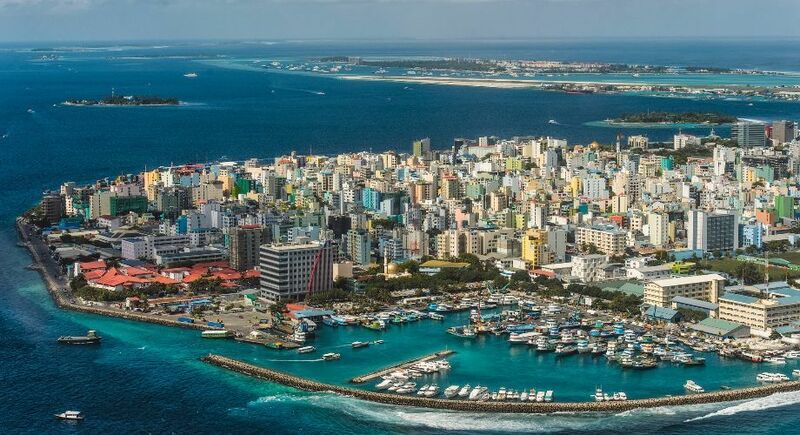 A fascinating city crammed onto an island with an area of just 5.8 kilometres squared, Malé is worth visiting when you travel to the Maldives. You can cover most of the city by foot in a day and there’s plenty to see. 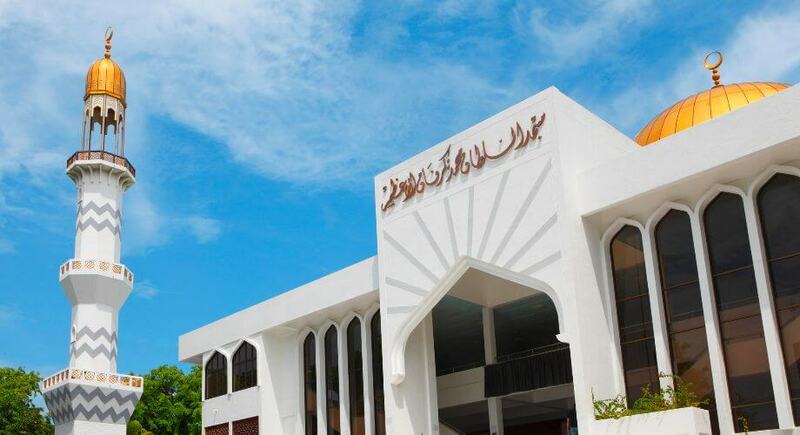 The Islamic centre is perhaps Malé’s most famous landmark and a popular tourist attraction. The mosque features a striking golden dome and stands out from the more modern buildings making up most of the skyline. Other attractions include the fish market, Presidential Residence and the National Museum. This skilled craft continues to be an important part of Maldivian culture. 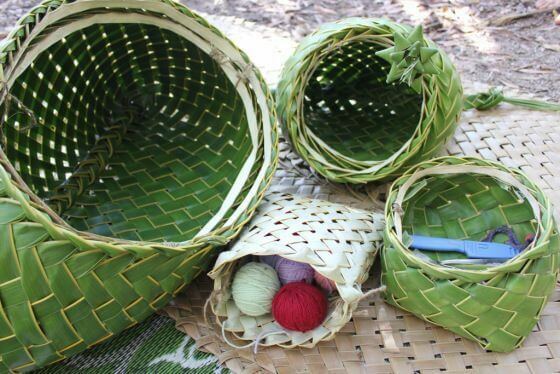 From traditional roof covering called kajan to everyday objects like buckets, carpets, toys and decorations, coconut palm leaf is very versatile! 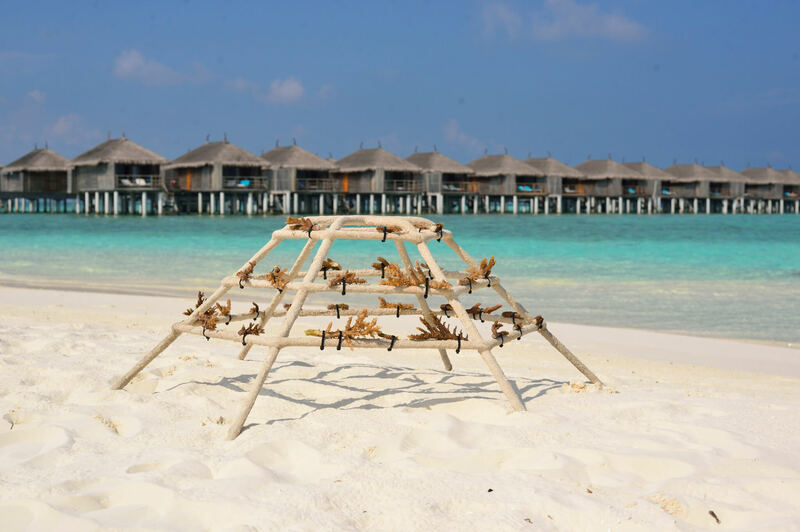 At Constance Halaveli and Constance Moofushi, all of our villas are covered in locally produced kajan. Where can you give it a go? Come along to Constance Halaveli’s Kaika Sushi Bar at 4pm on Saturdays for the chance to make a unique souvenir to take home with you. There you have it, our top 10 Maldives picks! Make your holiday in the Maldives truly memorable and enjoy all that these beautiful islands have to offer – what will you try first? 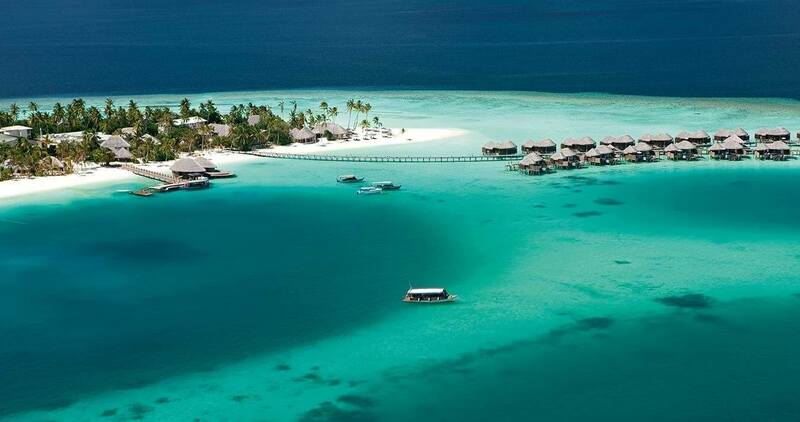 Are you dreaming of a Maldives getaway? 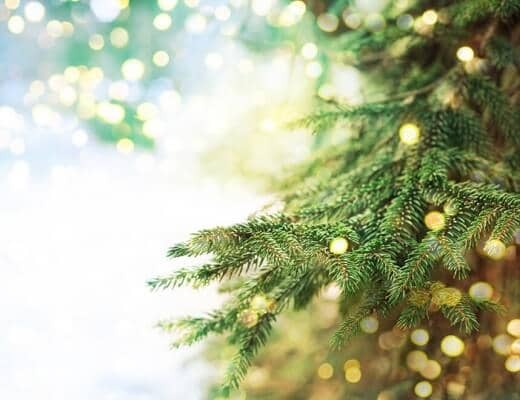 What are you most looking forward to experiencing? 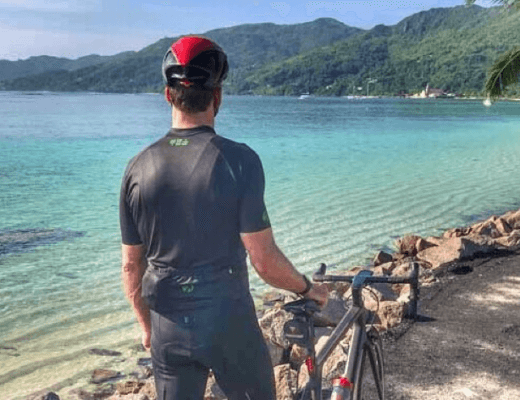 That’s amazing, One of the dream place, thanks for sharing this wonderful article with us,! Keep it up!